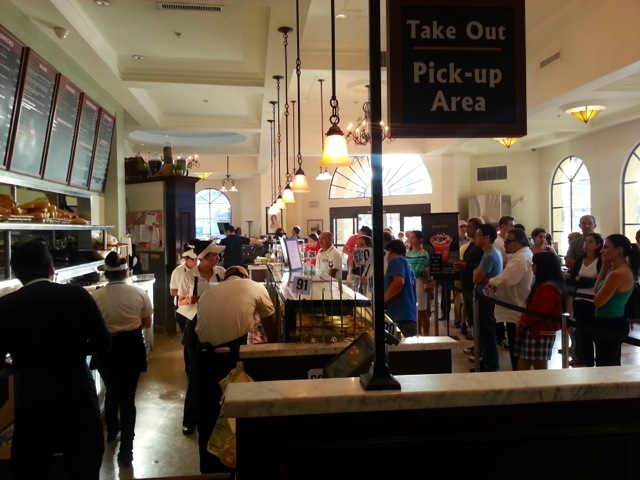 If you live in L.A. and you haven't been to Porto's yet, why not? You must eat there! 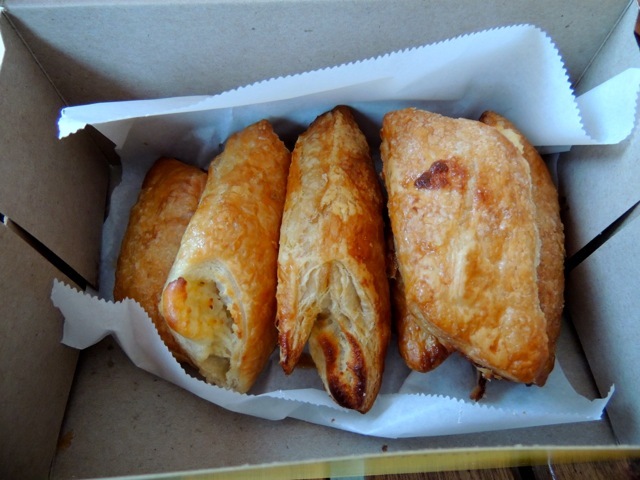 If you don't live in L.A., and you ever visit, you must go to Porto's. It's not in Hollywood with all of the touristy places, but if you go to a TV show taping or a Warner Bros backlot tour, you can easily stop by the Burbank location. What is Porto's? A Cuban bakery and cafe. The prices are fair, the food is delicious, and the lines are always long (but worth the wait). 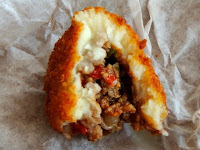 They have delectable cakes and pastries, but they also have a wide variety of sandwiches, salads, coffee drinks, etc. 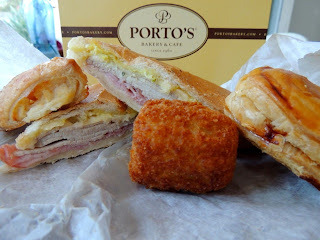 My husband and I actually had Porto's cater our wedding. The Burbank location doesn't do wedding cakes (or at least they didn't at the time), so we went to the Glendale location. 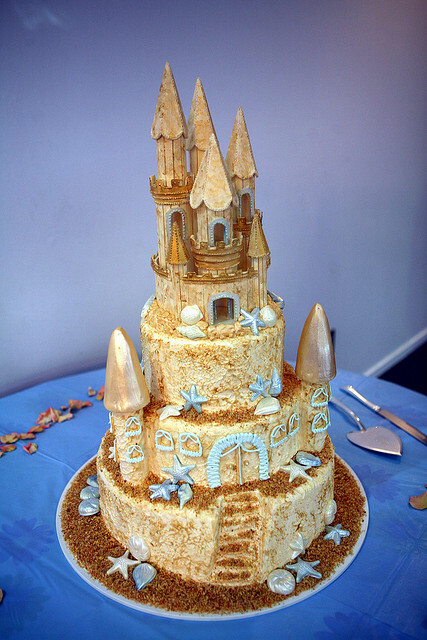 We were having a beach theme, and I had found a picture of a sandcastle wedding cake that I wanted them to create for me. When I showed the picture to the cake decorator, she immediately said she had done one like that recently. I felt so relieved knowing that my cake was in good hands. 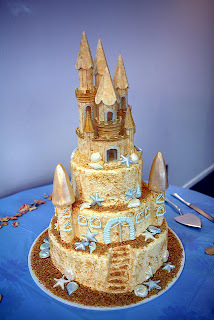 I loved tasting all of the cake/frosting/filling options, and I was very pleased with the finished product on my wedding day. On wedding anniversaries, my husband picks up a Cuban cake with pineapple and custard filling (the same type of cake we had for our wedding). Earlier today (after shooting a video for careersighted.com) my husband and I stopped by Porto's for dinner. We always each get a Cubano. It's just the best sandwich ever; turkey, ham, and swiss on Cuban bread. We also get potato balls (mashed potatoes filled with ground beef and deep fried), meat pies (puff pastry filled with ground beef), and cheese rolls (kinda like a cheese danish but better). None of this is healthy, but boy is it delicious! Are you drooling yet? Stop by Porto's and pick up a variety. They have seating in the cafe, but it's often crowded and hard to get a table. We always buy too much on purpose. Everything reheats well.